Groundnuts, also known as peanuts, are considered a very healthy snack. Although small in size it plays a vital nutritional role and contains amazing health benefits. It is widely grown in the tropics and subtropics, being important to both small and large commercial producers. It is classified as both a grain legume and, because of its high oil content, an oil crop. It is rich in vitamins like vitamin B complex, niacin, riboflavin, thiamin, vitamin B6, vitamin B9, pantothenic acid and minerals including potassium, manganese, copper, calcium, magnesium, iron, selenium and zinc. Groundnut contains monounsaturated and polyunsaturated fats (low in cholesterol) that keep the heart healthy, thereby reducing the risk of coronary heart diseases. It is also rich in proteins. 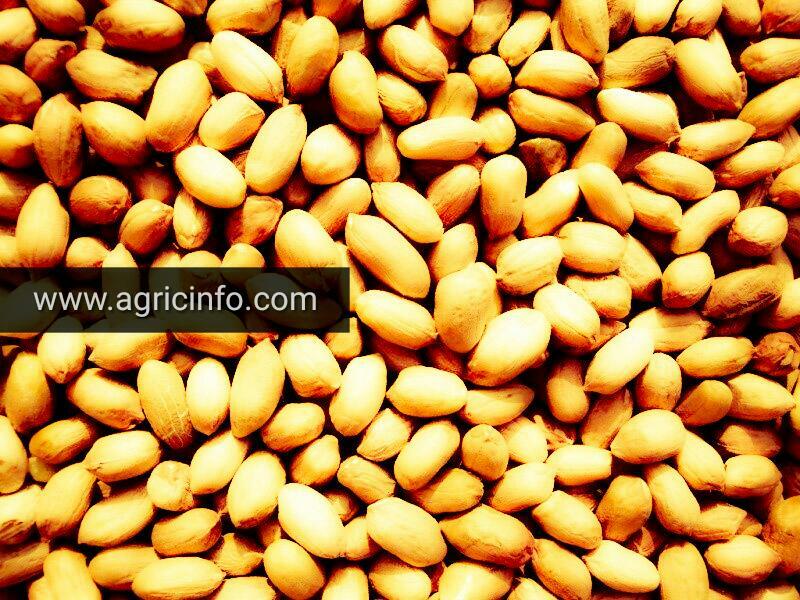 The amino acids present in groundnut are good for proper growth and development of the body. It also repairs and replaces body cells. Groundnut contains more protein than meat and about two and a half times more than eggs. It also contain a high concentration of the antioxidant polyphenols, a compound called p-coumaric acid and oleic acid, that not only protect the heart but inhibit the growth of free radicals, keeping infection at bay. Groundnuts grow well in warm areas, below 1500 M above sea level. The best temperature requirement is about 30º C. They do not grow below 15º C. The crop does not tolerate frost and cold conditions including delay in flowering and seed formation. For good growth, they also need 500 to 600 mm of rainfall, well-distributed throughout the growing season. The crop can survive drought or reduced rain but yields will be low. Well-drained soils are needed although the crop can also grow well in clay soils. Groundnut is an early season crop, which means that at the slightest sight of some rain, you need to plant. Plant when the soil is not soggy as the crop does not do well in waterlogged soils. To prevent blights caused by soil bacteria and fungi, ensure you use certified disease freeseeds. If you are using seed from the last season, ensure that the seeds for sowing are stored in their pods and only shelled a few days before planting. Shell the pods 1–2 weeks before sowing and select only good quality seed for sowing. Plough the land and harrow to a fine tilth. Spacing depends on the variety. Small seeded types (bunch) are spaced at 30cm between rows and about 15 cm between plants. This has a plant population of 167,000 per hectare. This yields more groundnut seeds per acre. The large seeded types (runner) are spaced at 45cm between rows and 20cm between plants, giving an optimum plant population of 89,000 per hectare. The seeds are planted in two rows on top of the ridge. Select clean and well formed seeds for planting. Sow seeds to a depth of 5-8 cm at a seed rate of 40-50kg per ha. Biofix is an organic nitrogen fixer for planting leguminous crops. Like other crops, groundnuts are attacked by various pests and diseases. Groundnuts mature from 90-130 days depending on the variety. Mature nuts should be firm and dry and brown on the outside. The inside of the pods should be grey and produce a rattling sound when shaken. To harvest, dig up nuts with great care to avoid them breaking off and remaining in the ground. Dry for 2-3 days, after which you can remove the nuts from the plants and dry them on mats for 7-10 days, to a moisture content of 10%. Then you can now take to markets to yield some money.